Over the next few weeks the BBC is looking into the implications of an ageing society as part of their Living Longer series. 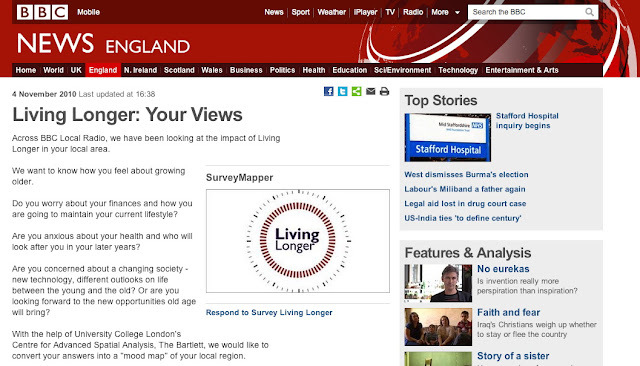 We are pleased to say that they are using our free SurveyMapper system to canvas opinion across the UK. The pubic are being asked a series of questions with the results mapped in realtime, creating a ‘mood map’ of the UK. You can take part via the Living Longer site and of course set up your own survey on a global, national, city, zip, postcode, borough or ward level.